I went to the capitol to write and meet @BaristaPowers for brunch - Bradbury's for crepes (omnomnom). Between the teo, I popped into the Capitol building because of the nice light. 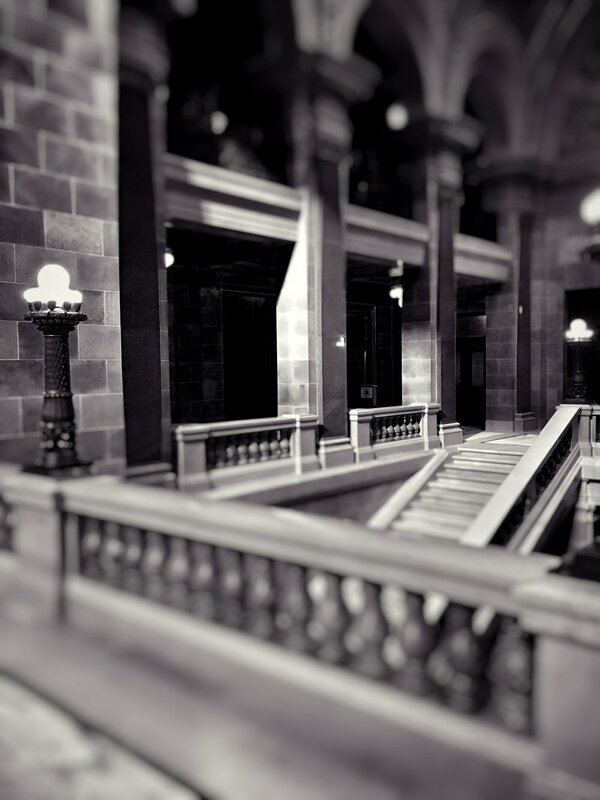 I've taken so many photos in the building but never tried converting them all into tilt-shift model shots. It makes for a really interesting aesthetic in such a stately building. See what I did up there? Just a little pun. It's a small miracle I have any friends.